Former Vice President Joe Biden is running into immediate headwinds from some progressive Democrats from the party’s left wing as he launches his 2020 presidential bid. A group aligned with New York Rep. Alexandria Ocasio-Cortez called Justice Democrats says in a lengthy statement that Biden is a centrist Democrat who could “divide the party.” It says Biden could squelch progressive enthusiasm for policies like single-payer healthcare and a Green New Deal. The group said Thursday the “old guard” already failed to defeat President Donald Trump in 2016 and cannot be counted on to excite the base in 2020. But the statement still notes that Justice Democrats will support whoever wins the Democratic nomination next year. Biden joined the crowded Democratic presidential contest on Thursday morning, declaring the “soul of this nation” at stake if Trump wins re-election. Former Vice President Joe Biden’s access to the email list used by the Obama-Biden campaign in 2012 will come in handy during Biden’s expected presidential campaign, according to a new report. The Daily Beast reported Wednesday that Biden — who is likely to enter the 2020 race Thursday — has already sent messages to the millions of addresses in the coveted list. According to the report, the Biden-aligned American Possibilities PAC sent out an email blast this week to people on the list. A Biden spokesman then told The Daily Beast the PAC was given the green light to use the list. Former White House director of communications Jennifer Palmieri, meanwhile, said the list is just one piece of the equation. Rumors about Biden running for president — which he has done unsuccessfully on two previous occasions — have swirled for months. He has also been accused of inappropriate conduct with women in public settings, for which he said he would be “much more mindful” about crossing into people’s personal space. America has to fix the attack by Russia on the 2016 election, but it is a “false choice” to conclude impeachment is the only solution, according to Hillary Clinton. “A crime was committed against all Americans, and all Americans should demand action and accountability,” she wrote. “What our country needs now is clear-eyed patriotism, not reflexive partisanship,” she wrote. Secondly, she said Congress has to hold “substantive hearings that build on the Mueller report and fill in its gaps” before heading right for impeachment — and asserted “Watergate offers a better precedent” with its televised hearings. It will “cost” Democrats to keep pushing for information about President Donald Trump because he’s already been thoroughly investigated by special counsel Robert Mueller’s team, presidential counselor Kellyanne Conway said Wednesday. Trump is “possibly” willing to use executive privilege, said Conway, so Democrats need to decide if they’re going to talk about “Trump, Trump, Trump” at all times, or if they will work on infrastructure, drug pricing, or healthcare. “They have to be honest with the people of this country who they represent as to whether they’re serious about having bipartisan action to try to solve the problems of this nation,” said Conway. 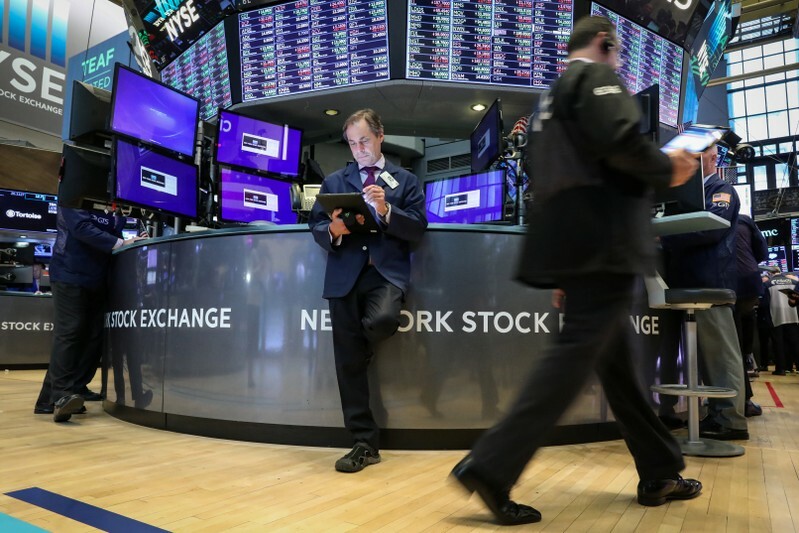 NEW YORK (Reuters) – The S&P 500 index and the Nasdaq registered record closing highs after a broadbased rally on Tuesday, as a clutch of better-than-expected earnings reports eased concerns about a slowdown. In Tuesday’s trading the benchmark index finally erased all the steep losses it saw in late 2018 by ending the day above the previous record reached on Sept. 20. It closed just 0.3% below its intra-day record of 2,940.91 hit on Sept. 21. The S&P has risen 17 percent so far this year, with help from a dovish Federal Reserve and hopes of a U.S.-China trade resolution as well as the upbeat start to the first-quarter earnings season. “Part of what’s pushing the S&P up is a general belief it will make a new high,” said Rick Meckler of Cherry Lane Investments, a family investment office in New Vernon, New Jersey, who expects that more earnings reports later in the week could push the index above its all-time high. The diversity of industry sectors reporting strong results on Tuesday gave further reassurance to Tony Roth, chief investment officer at Wilmington Trust in Wilmington, Delaware, who expects the trend to continue. “Today was a very broadly representative day of the overall economy. That’s what’s driving the markets,” said Roth citing results from United Technologies Corp, Lockheed Martin Corp and Coca-Cola Co.
“If the earnings season is as strong as we expect the next major signpost is the trade situation with China and getting that resolved,” said Roth. The Dow Jones Industrial Average rose 145.34 points, or 0.55%, to 26,656.39, the S&P 500 gained 25.71 points, or 0.88%, to 2,933.68 and the Nasdaq Composite added 105.56 points, or 1.32%, to 8,120.82. Profits of S&P 500 companies are still expected to decline 1.3% in the first quarter, in what analysts say could be the first earnings contraction since 2016. However, forecasts have largely improved since the start of April. Amazon.com Inc, set to report results later this week, gained 2.2%, providing the biggest boost to the S&P 500 and the Nasdaq. Ten of the 11 major S&P sectors were higher, with a rebound in healthcare, which gained 1.6%, providing the biggest boost. The healthcare sector has been slammed with 6.7% drop in the last two weeks on U.S. policy concerns. “People just realized (healthcare) got beaten so far down it might be worth taking a chance,” said Robert Pavlik, chief investment strategist and senior portfolio manager at SlateStone Wealth LLC in New York. The consumer staples sector was the only S&P sector that ended the day lower as investors favored riskier bets. The energy and utilities sectors were the next weakest performers on the day. Twitter Inc shares soared 15.6% after the social media company posted better-than-expected quarterly revenue and a surprise increase in monthly active users. Hasbro Inc rose 14.2% after the toymaker reported a surprise quarterly profit. Coca-Cola rose 1.7% after its quarterly sales beat estimates, helped in part by strong demand for Coke Zero. Lockheed Martin jumped 5.7% after it reported upbeat quarterly results and lifted its full-year profit forecast on strong demand for its missiles and fighter jets. United Technologies rose 2.3% after it raised its full-year profit forecast. Procter & Gamble Co fell 2.6% and was the biggest drag on the market after reporting a decline in its third-quarter operating margin. Advancing issues outnumbered declining ones on the NYSE by a 2.91-to-1 ratio; on Nasdaq, a 2.82-to-1 ratio favored advancers. The S&P 500 posted 47 new 52-week highs and four new lows; the Nasdaq Composite recorded 80 new highs and 45 new lows. On U.S. exchanges was 6.75 billion shares changed hands, compared with the 6.64 billion average for the full session over the last 20 trading days. MELBOURNE (Reuters) – The environment has emerged as a major issue for Australian voters, a poll showed on Sunday, but healthcare and the cost of living are the top concerns ahead of next month’s elections. For 32 percent of Australians, access to affordable health services is the biggest worry, followed by the cost of living at 31 percent and crime at 25 percent, according to the Ipsos Issues Monitor, cited by the Sydney Morning Herald. But the monitor, Australia’s longest running survey of community concerns, found that 23 percent of respondents cited the environment as one of their biggest concerns, making it the fourth top issue. At the last federal election in 2016, the environment ranked ninth at 14 percent. “Now there is a real momentum around it,” the newspaper cited Ipsos social researcher Daniel Evans as saying. According to government agencies and environmental organizations, Australians are paying increasingly more attention to climate change, renewable energy, drought, environmental regulation and protection of natural habitats, such as the Great Barrier Reef, under threat from global warming. Two-thirds of Australians believe their country is already being affected by climate change and 46 percent agree that the change is “entirely or mainly” caused by human action, an annual climate survey issued by Ipsos this month suggested. 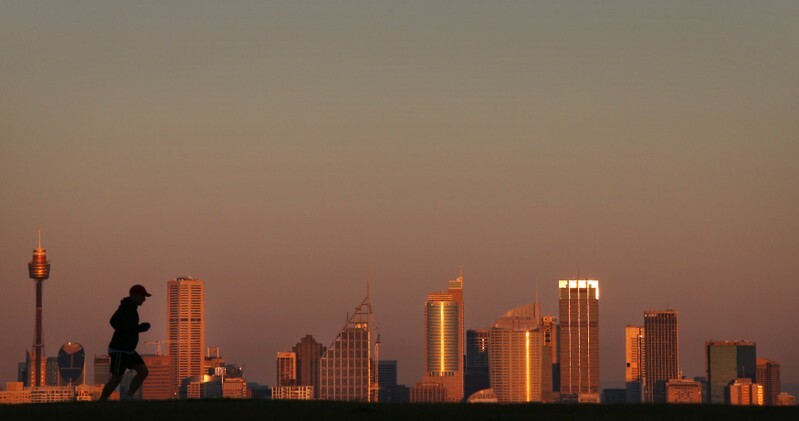 Australia’s A$1.87 trillion ($1.3 trillion) economy is slowing, but the number of voters for whom it is a major worry has fallen since the last election to 23 percent from 30 percent. It ranked as the fifth major concern in this month’s poll. Australians vote on May 18, with opinion polls showing Bill Shorten’s center-left opposition Labor party well ahead and the coalition of Prime Minister Scott Morrison’s Liberals and the rural-focused Nationals heading for a resounding defeat. Former House Speaker Newt Gingrich, who led impeachment proceedings against former President Bill Clinton in the 1990s, said Friday he agrees with Sen. Steny Hoyer’s assessment that proceeding with impeachment proceedings against President Donald Trump is “not worthwhile” at this time. Gingrich said that even with the evidence against Clinton, after the debate on impeachment ended the country became more worried about the economy and healthcare. Meanwhile, with Mueller’s investigation, 12 attorneys were career Democrats, and they still could not find Trump guilty of anything, said Gingrich. “The biggest thing that goes out of the details is the that the president is a very aggressive entrepreneur,” said Gingrich. He added that he thinks more left-wing Democrats like Rep. Alexandria Ocasio-Cortez will continue to call for Trump’s impeachment, but “the average Democrat is going to pretty rapidly decide this is not a sound direction to go in,” said Gingrich. 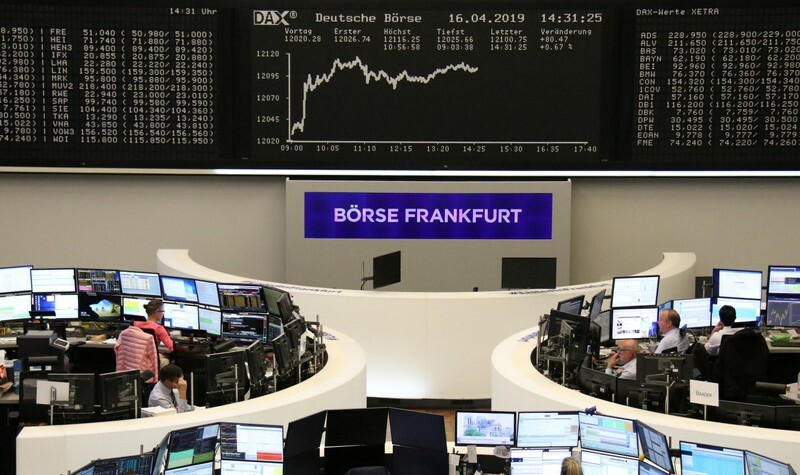 (Reuters) – European shares ended higher on Thursday as short covering kicked in ahead of a long Easter weekend and strong quarterly results including those from Unilever and Nestle tempered data showing euro zone businesses unexpectedly slowed this month. The pan-European STOXX 600 index rose for a seventh straight session, its best winning streak since early February with Germany’s DAX closing at six-month highs, while London’s FTSE 100 fell, dragged by healthcare stocks. Growth worries gripped equity markets in the early hours after surveys showed businesses across the euro zone stumbled into the second quarter as demand remained weak despite more modest price rises. The data came on the heels of the German government lowering its forecast for 2019 economic growth on Wednesday, which was overshadowed by better-than-expected economic data out of China. Markets however turned to end higher as a weaker euro and short covering ahead of Easter holidays benefited stocks. “There is so much pessimism around Europe that the negative PMI data failed to find fresh sellers, triggering short-covering,” said Giuseppe Sersale, fund manager at Anthilia Capital in Milan. A survey of fund managers by Bank of America Merrill Lynch (BAML) found earlier this week that short positioning on European equities was the “most crowded trade” for the second straight month in April. Earnings boosts from key industrial and consumer companies in the region also helped lifted STOXX with Schneider Electric providing the biggest impetus after the French company beat first-quarter sales forecasts. Amsterdam-listed shares of Unilever hit a life-high after the consumer goods group reported stronger than expected quarterly underlying sales growth, helped by increased prices and volume. Also boosting consumer stocks was Nestle on higher-than-expected sales growth in Q1. But Kering dropped 3.6 percent on signs of a slowdown at the French fashion company’s Gucci brand. Sandvik led gains on the STOXX after reporting a better than forecast quarterly order intake and said demand remained strong across all its business areas, sending an upbeat signal for the Nordic industrial sector. The grim PMI data had a negative impact on the euro and the German 10-year bund yields, which fell further. The banking index barely moved after five strong sessions. Healthcare stocks were the biggest drag with Novo Nordisk, AstraZeneca and GlaxoSmithKline all sliding following a sell-off in U.S. healthcare stocks over regulatory worries on Wednesday. The United States is among the biggest markets for European drugmakers. Osram was the biggest percentage loser on the STOXX 600 after a German magazine reported that private equity groups Bain and Carlyle were losing confidence in their bid for the lighting group. British American Tobacco shed 1.4 percent and Imperial Brands gave up 0.8 percent after U.S. Senate Majority leader Mitch McConnell said he planned to introduce legislation to raise the minimum age for buying tobacco products. 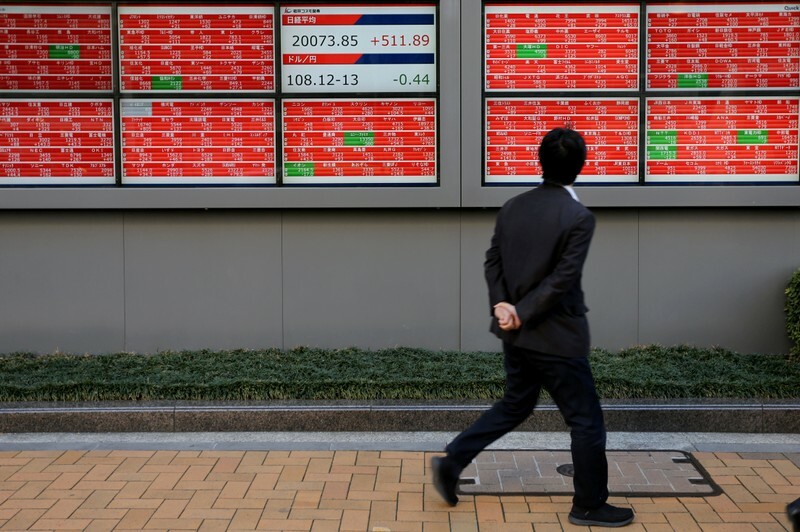 TOKYO (Reuters) – Asian shares dipped on Thursday amid subdued trade after losses on Wall Street and some profit-taking ahead of a long Easter weekend. European shares were set open lower, with Frankfurt’s DAX futures off a quarter of a percent and London’s FTSE futures down a fifth of a percent. E-Mini futures for the S&P 500 gave up 0.25 percent. MSCI’s broadest index of Asia-Pacific shares outside Japan lost 0.4 percent, reversing course after brushing its highest since late July 2018 early in the trading session. Australian shares were a shade lower while Japan’s Nikkei dropped 0.8 percent and Chinese blue chips slipped 0.2 percent. The U.S. trade deficit fell to an eight-month low in February as imports from China plunged, data on Wednesday showed. Separate figures from China earlier on Wednesday showed the world’s second-largest economy grew at a steady 6.4 percent pace in the first quarter, defying forecasts for a slowdown. Attention is now turning to how much more stimulus Beijing will apply without triggering more financial risks. Investors’ immediate focus turned to the release of Purchasing Managers’ Indexes (PMIs) for the manufacturing and service sectors in Europe later on Thursday to provide more clues on strength of the euro zone economy. “It’s going to be interesting to see if we see some stabilization there in line with what we’ve been seeing in the stabilization in the Chinese data flow,” said Chris Weston, head of research at foreign exchange brokerage Pepperstone in Melbourne. Japanese manufacturing activity contracted at a slightly slower pace in April thanks to a pick-up in hiring, a flash PMI survey showed, but new export orders fell at the fastest pace in almost three years in a sign slow global demand remains a major pressure point. Market participants are also eyeing signs of progress in U.S.-China trade negotiations. Washington and Beijing set a tentative timeline for a fresh round of face-to-face meetings ahead of a possible signing ceremony in late May or early June, according to a Wall Street Journal report. In the currency market, the safe-haven yen was up 0.2 percent at 111.86 yen per dollar, but still not far off a near four-month low of 112.17 brushed overnight. The euro ticked up to $1.1300, adding to the previous day’s gain of 0.1 percent after investors bought the single currency on the back of the positive Chinese data. “A recovering Chinese economy is also good news for the German economy, and thus positive for the euro,” said Junichi Ishikawa, senior FX strategist at IG Securities in Tokyo. “The ongoing surge in bund yields amid ‘risk on’ is a key factor supporting the euro,” he added. The 10-year German bund yield hit a one-month high of 0.102 percent overnight, in a sharp rebound from a 2-1/2-year low of minus 0.094 percent set late last month. The Australian dollar was a tad higher at $0.7182 as traders bet Australia’s central bank will not rush to ease rates after a rise in new jobs underlined strength in the country’s labor market. The dollar index held steady at 96.979 after ending the previous session basically unchanged. U.S. crude was last up 2 cents at $63.78 a barrel, while global benchmark Brent crude futures edged down 3 cents to $71.59. Spot gold was last down 0.15 percent at $1,272.20 per ounce, languishing near its 2019 low. Rep. Alexandria Ocasio-Cortez, D-N.Y., is accusing Republicans of “getting scared” after plans to have her visit a Republican-controlled district in Kentucky were canceled. After Rep. Andy Barr, R-Ky., extended the invitation to Rep. Ocasio-Cortez during a House Financial Services Committee hearing in March, the freshman lawmaker accepted on the spot. But this week, Barr demanded Ocasio-Cortez apologize for comments she made about another Republican — Rep. Dan Crenshaw, R-Texas — before she could visit with Kentucky coal miners and talk about her Green New Deal legislation. Ocasio-Cortez now believes the Republicans were bluffing about the trip all along.